When is it going to be available???? Good play filmed very nicely. Good acting and story keep interest! 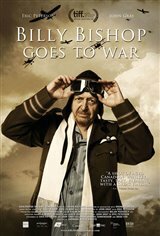 A great war time movie appropriate for Remembrance Day. Eric Peterson created this role years ago and still does it magnificently. The play translates well to the screen but my heart is still with the original theatre version.A good Remembrance week movie! A good story. Would be a good one to see today being Remembrance day! This was a very good play and a satisfactory movie.